West Sweden offers varied and spectacular landscapes, and the bike saddle is the perfect place to discover them from. Weathered rocks, undulating forested hills and rolling fields. There’s something for everyone here. What’s more, in some areas new mountain bike routes are being created all the time. Dalsland is renowned for its fantastic views, many lakes and deep forests. The area around Bengtsfors is great for exploring on your own, by bike. 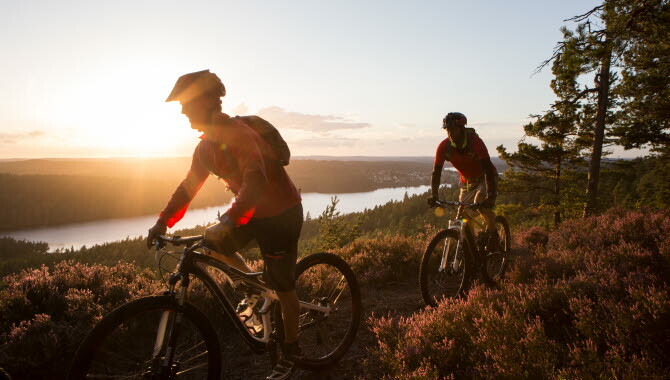 As well as having lots of excellent trails which offer good cycling of different grades of difficulty, it hosts also a mountain bike race as well, the Dalsland X-Country, which starts and finishes in Bengtsfors. There’s a longer 57 km track and a shorter one that’s 35 km. The trail is also waymarked all year round so that people can train on the race track. “The track offers both great views, winding paths by lakes, and picturesque country roads. It isn’t that difficult technically, so anyone can ride it,” says Crister Blüme, who runs Camp Dalsland. 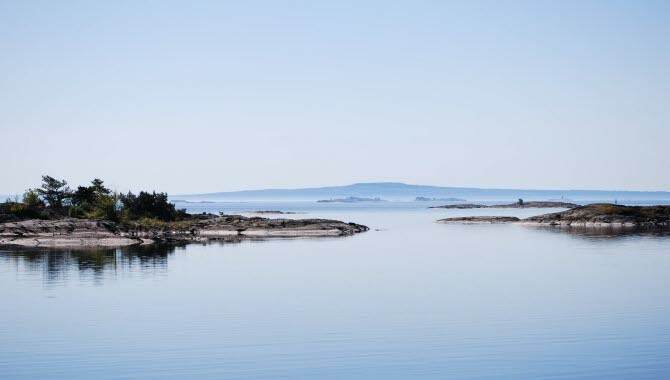 On the other side of Lake Vänern you can see the local landmark, Kinnekulle, a hill surrounded by plains that is often described as a bikers paradise. The Kinnekulle trail which is 45 km long is a classic. It starts from the top of Kinnekulle and then follows Lake Vänern’s shoreline before heading back up to the summit. The trail is not technically difficult but the uphill section can be challenging for some. The magical views make it a popular route for enthusiasts. 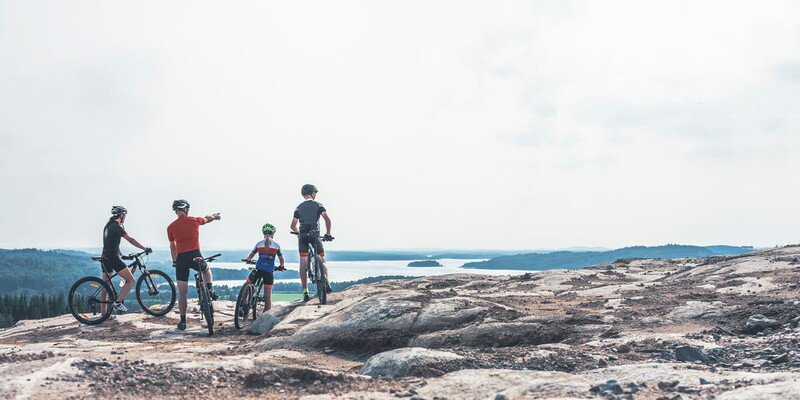 The Halle- and Hunneberg plateaus which flank Lake Vänern’s southern tip are popular tourist destinations that also offer great cycling possibilities. There are no dedicated cycle paths but the walking trails are used by both walkers and cyclists. There are a total of 16 to choose from, and who wouldn’t want to pedal their way through this beautiful unspoilt scenery? You don’t, of course, have to keep to the well marked trails when you’re out mountain biking. 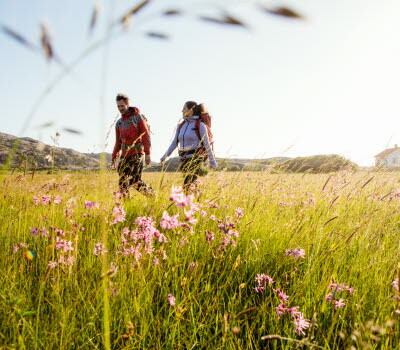 Explore the area on your own on the smaller paths, but be aware of the rules regarding right of access to private land, and the extra wear and tear that can happen when the weather and the seasons affect the paths more. Naturally you also need to show consideration to walkers and riders, who might have easily spooked horses. Stop, get off, make room for them and say hi! Billingen, outside Skövde combines an urban and rural experience in one. There’s a total of 28 km of mountain bike trails and even a bike park with banked curves, drops, and obstacles. Skövde bike club also arranges the Billinge Race where you can test your skills on two wheels in May each year. 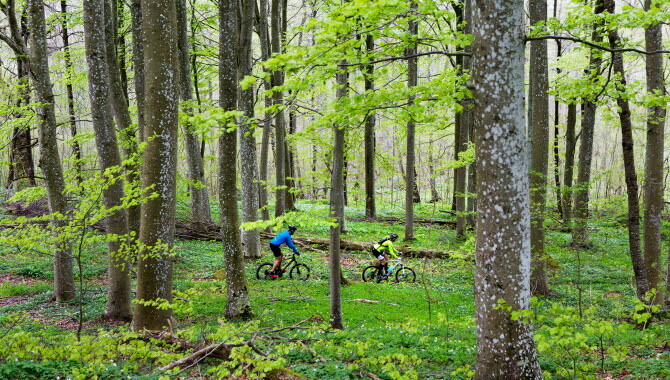 Experience both single and double track as well as steep paths, all set amongst the fresh green birch trees and wood anemones. Lassalyckans outdoor recreational area in Ulricehamn has excellent mountain bike trails. 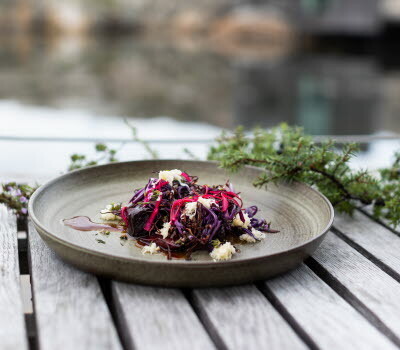 It’s also a certified Vasalopp centre, with the requisite high standards of training facilities for skiing, running and mountain biking, as the Vasalopp race is held in all three disciplines. There are four different trails here ranging from 3 to 15 km, which are individually colour marked. You’ll find both courses with ascents and technical challenges, as well as easier ones. On the West Coast there are plenty of walking trails but relatively few dedicated mountain bike ones. If you’re uncertain where you can ride, check with the local Tourist Information Centre, and respect the land owner! In the area around Lysekil, Villa Bro has started a bid to build a single track. Not far from Ljungskile, the little track centre of Stenshult offers some great trails where you’re likely to have the beautiful surroundings all to yourself. 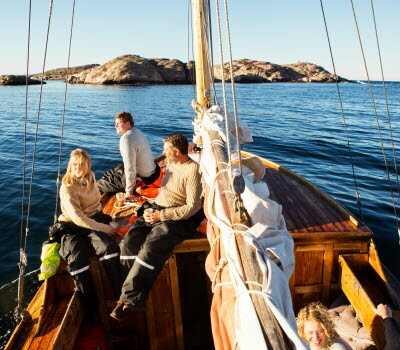 The Bohusleden Trail traverses the whole of Bohuslän and in some parts you will encounter very technical terrain. The area around Strömstad is particularly good for cycling. Every year the Grenserittet ride takes place here, which is an 81 km long mountain bike race starting in Strömstad and finishing across the Norwegian border in Halden. The competition attracts thousands of participants every year. 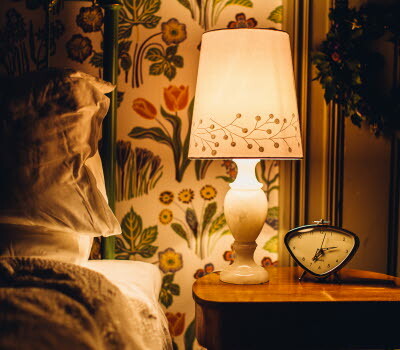 For more information go to www.grenserittet.com. Take plenty of water. On some of the trails it can be miles to the nearest tap. Take a little repair kit in case you get a puncture. If you’ve cycled a long distance you don’t want to have to push the bike all the way back! Wear cycling glasses. Twigs and flies aren’t nice to get in your eyes. Wear a helmet. It’s a necessity. Buy a pair of padded cycling shorts to make your trip more comfortable. Be considerate, respectful and attentive. Stop, get off, say hello and keep to the side when you meet walkers, riders and animals (wild and domestic). Don’t ride if the weather and/or the season makes the path susceptible to erosion. Respect the landowner! Last but not least, if you’re uncertain about where you can ride your mountain bike, check with the local tourist information centre.